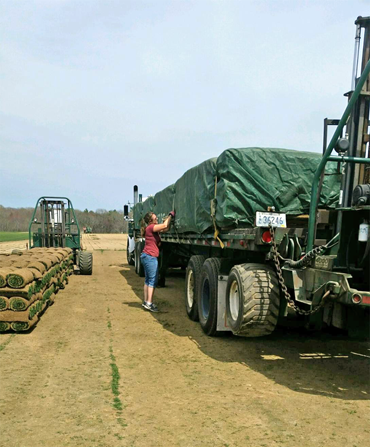 All of our sod blends have been blended specifically for Laurel Brook Turf to provide an aggressive and dense sod with good overall color. The varieties in each blend has been selected for drought tolerance, shade tolerance (though you do need approximately 50% sun for a strong, vigorous lawn), disease resistance and good, dark green color. The denseness of our sod helps prevent weeds, therefore requiring less chemicals. The aggressiveness of our blends ensures quick recovery from heavy use and abuse. 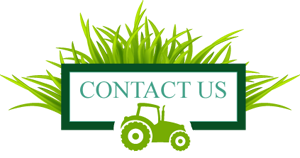 Our high quality grasses are very adaptable in the New England region and are recommended for both residential and commercial projects. Our turf is also widely used on play areas, parks, cemeteries, sports fields and road areas. All of our grasses are cool-season, Northeast region Kentucky Bluegrass blends that thrive in cool weather and will tolerate very cold winters. They will also maintain good color and appearance if properly maintained in extremely hot weather. • Level the soil approximately 1 inch lower than any hard surfaces such as a patio, sidewalk, or driveway. • Water the soil until it is moist. 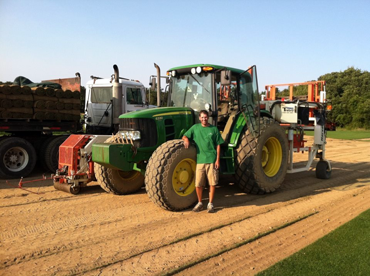 • Install all sod on a cool, moist soil base within 4 to 6 hours of delivery in hot weather and 6 to 12 hours in cool temperatures. • The delivery driver will place the pallets across the area you plan to sod to reduce the amount of lifting required. In very hot weather, protect unlaid turf by placing pallets in shade, covering with moist burlap sacking if available, and/or sprinkling. • Lay the first piece of sod along a straight line, such as a walkway, sidewalk, or driveway. • Install additional pieces in a brick-like pattern. • In sloped areas, begin sodding at the bottom and work your way up the slope. If the slope is steep, run the pieces across it. We offer stakes to peg in your pieces also. • Water immediately after installation. On very hot days, water small sections at a time immediately after installation. Watering immediately is the most important factor in ensuring the survival of your sod! • To determine whether you have watered enough, lift a corner of a piece of sod and push a screwdriver or other implement into the soil. If it's hard to push the tool in and/or the soil doesn't feel moist, keep watering. • Measure the area you want to sod. • Order at least 2 days before desired delivery date. • Specify whether you want strips on pallets or big rolls. • Tell us if you want us to install the sod for you. • Place field pickup orders in the morning for pickup that afternoon or the day before for pickup the next morning. 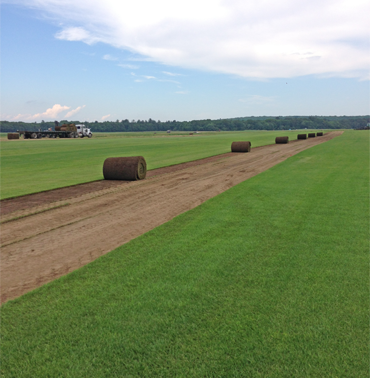 • All sod is cut to order on the afternoon preceding morning deliveries or in the morning for late morning deliveries.